This article has been updated since its original 2006 publish date. Over the course of forty years, pianist Bobo Stenson (born 1944, Vasteras, Sweden) has been able to adapt himself to contribute in whatever way is necessary for the music at hand. Always being himself yet never calling attention to his prowess, he plies his skills on projects and always ends up leaving his mark. As a leader, he is an alchemist who can extract, expose, and elevate the essence of a composition. Stenson's intensity is quite reserved, and the resulting impact of his music is cumulative rather than showy. A solo might never get very loud or fast, butespecially in trio settings, where his partners pick up his growing flamethe music can become dense and extroverted before falling back. Stenson's music is based on space. Each note almost always has some space around it, separating it from its neighbors, creating the feeling of calm and of not rushing, no matter how fast the notes are played. The dynamics of the notes in a line can vary widely, and many times he plays a "ghost" note that is just hinted, which is idiomatic saxophone phrasing. His phrases twist and turn, changing direction without warning, but which always move forward toward a goal, thus leading the listener but never being predictable. Finally, his sense of time is so strong that he can play out of time when there is a pulse, yet keep the sense of connection to the beat, and also play in time when there is no clear pulse, maintaining the tension that results. What is always fascinating to observe is the web of musical and personal relationships that develop over such a long career. The releases below are dated as follows: release (recording). 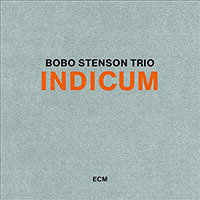 Indicum finds the Bobo Stenson Trio picking up where Cantando left off, but now Fält is fully integrated, adding his own character to the strong voices of Stenson and Jormin. The tune mix is similar to the earlier record with Bill Evans' "Your Story" played as a solo tribute, George Russell's "Event VI" paired down to its essence, much like "Send In The Clouds" from Goodbye and the Norwegian traditional song "Ave Maria" is given a loving, beautiful treatment. All of Stenson's strengths are on display: his use of space, the careful building of his lines, his singing tone, his wide range of musical tastes and influences as well as his understated intensity combined with a deep musical intelligence. Indicum is not only a follow-up to Cantando, but solidifies everything about Stenson and this trio. See here for a John Kelman's full review. 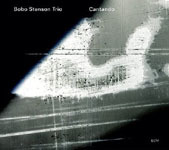 Cantando must be ranked among Stenson's highest achievements since the monumental double CD Serenity (ECM, 2000). The essence of the art of Stenson (and, of course, his trio) is the mixture of a "classical" attitude where every note counts and at least feels as if it is placed with a thoughtful preparation, an intensity that never strains but rather is light and understated, and a joyful exuberance which runs through everything and continually surprises. This trio is all about precision. 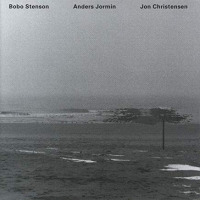 Stenson's piano technique is based on the way each note is surrounded by space, yet is connected, while Jormin has one of the tightest sounds in the business, and a command of technique (particularly harmonics, both plucked and bowed) that is astounding. Fält is essentially replacing Christensen, Paul Motian's appearance on Goodbye (ECM, 2006) notwithstanding, and plays with incisiveness, giving every sound a purpose with youthful vigor, supporting the band while continually pushing it. 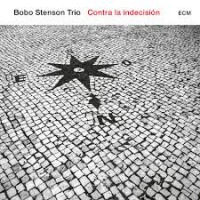 Goodbye is the fourth ECM recording by Stenson in a trio and the first with Paul Motian in the drum chair. To even maintain much less supercede the quality and intensity of the music on Serenity would be quite a task. The music of Goodbye seems a bit more approachable, less "abstract" and more melodic than that of Serentiy without sacrificing any of the intensity of the trio. Starting the disc with "Send In The Clowns" feels like a statement of purpose, as if Stenson is saying, "listen to the core of the tune: this is my art." The very essence of this well known tune, melodically, harmonically as well as emotionally is distilled out, producing its very nectar. "Race Face," which ends the disc is obviously a Stenson favorite, since he recorded it on Dona Nostra (1993) and revisits it here. Its mood is decidedly different, more American jazz if you will, but given the Stenson treatment, and the group really takes off and drives intensely forward, with much more of feel of the blues, but nothing overt.